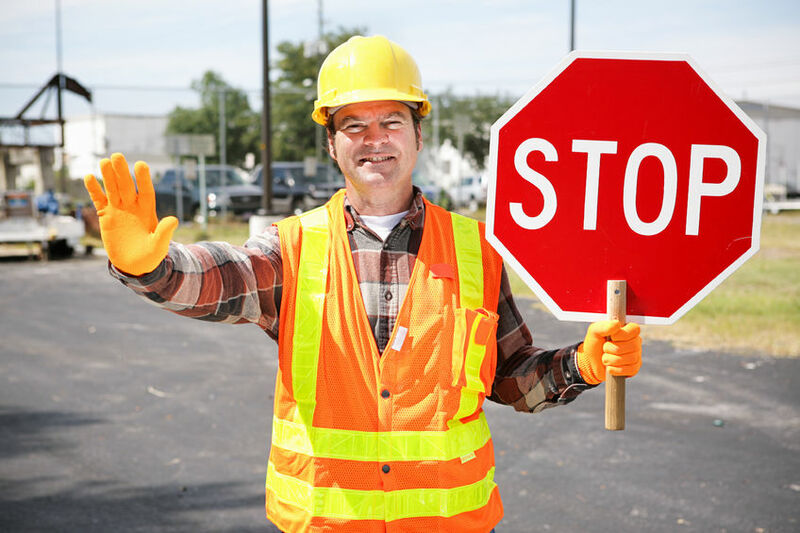 We are Providers of Traffic Control Services to the construction, utility, movie/events and emergency response markets across Georgia, Florida, South Carolina. We are a registered GDOT Vendor and Active Members of ATSSA and National Safety Council. Providers of traffic control services to construction, utility, movie/special events and the emergency response markets across Georgia. Four Hats Inc is an active member of ATSSA and NSC. We exclusively use the ATSSA certification standard to certify our Flaggers, Lead Flaggers and Supervisors. Our employees are OSHA 10 hour and CPR/AED certified and pass a 3 years DMV check prior to employment. This provides a solid baseline to internally grow employees into our culture—a culture focused on safety, customer service, professionalism, dependability. We define the customer as both the client and the traveling public. Four Hats Inc has the expertise, experience and equipment to safely stand in the space between the travelling public and the construction, utility, movie/film/special event and emergency response industries. We provide Permitting and prepare Traffic Control Plans to interrupt the traveling public in a safe manner. Our Supervisors and Lead Flaggers are respected and experienced in the Georgia, South Carolina and Alabama markets. Their experience ranges from 5 to 19 years and have worked in all aspects of traffic control from interstate utility crossings to 2 person flagging operations and film industry detours to storm response. What are the Four Hats? Four Hats is a philosophy based on the Webster’s definition of ‘on the square’; “In a fair open manner: Honesty.” A square deal is a solid win-win agreement. A square has 4 equal sides. The Four Hats we must wear everyday are safety, expertise, professionalism, and dependability. All must be performed with equal focus to bring our clients the value and reputation we have become known for. Standing between the traveling public and work crews is not to be taken lightly. Lives are on the line. It is a tough place to work and we accept the challenge. Safety is paramount and how we perform our job is on public display. Our employee culture sets us apart and is the extra value we bring our clients and to the profession. Permitting and Traffic Control Plans. Four Hats Inc provides a competitive starting salary for inexperienced flaggers and for seasoned industry professionals. We provide health insurance at 75% for the employee and offer health, vision and dental within the first 90 days. If issued a vehicle (our fleet is all 2016-2017 F150s) and a company fuel card and be allowed to drive the vehicle home and to work directly in the course of business. We are always looking for experienced professionals and inexperienced people looking for the challenge, reward and satisfaction of becoming part of our culture. We are not for everybody, but if you feel up to the challenge, you will find a rewarding career and the satisfaction of knowing you are a representative of the up and coming next big thing in traffic control in the Southeast. If you think you have what it takes, contact us to discuss your qualifications and experience. Four Hats Inc provides expert traffic control services and equipment for any public or private entity or event that needs to interrupt the travelling public. Please click on the following link so you can download a fill-out our Terms of Conditions form. Four Hats Inc provides expert traffic control services and equipment for any public or private entity or event that needs to interrupt the travelling public. Beginning operations in 2015 Four Hats Inc provides Traffic Control, to construction, utility, film/special event and emergency response markets.